Next, let’s print out the TensorFlow version that we are using. 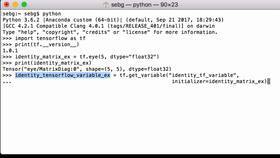 For this video, we’re going to create a TensorFlow variable that will hold random numbers between 0 and 10 that are of the data type 32-bit signed integers. Note that we also give it a specific name: random_int_var_one. 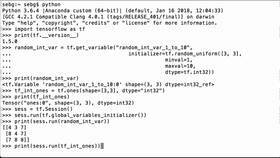 So we’re going to create it using the tf.get_variable operation and assign it to the Python variable random_int_var_one_ex. So notice that there is a difference between the variable we give it here in the get variable and the Python variable. Now that we’ve assigned our variable, let’s print to see what we have. 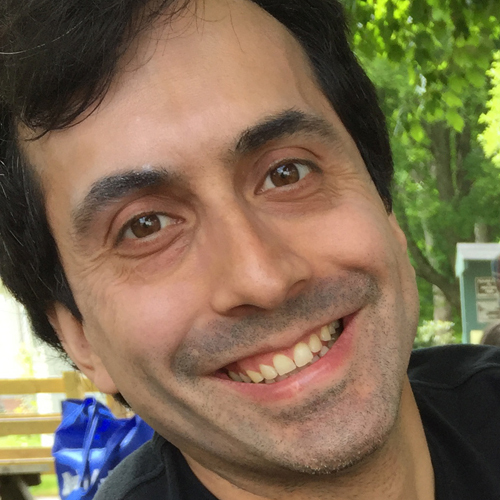 We have a TensorFlow tensor whose name is random_int_var_one (which is what we would expect from here) /read:0, shape 2x3x4, data type is int32. And then we initialize the global variable in the graph. Now that we’ve done this, let’s print our variable again, only this time within a TensorFlow session run. And we can see that we have a 2x3x4 tensor whose values are between 0 to 10. To get the tensor by name in a TensorFlow session, we can use the name operation. 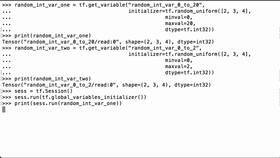 So we pass in our random_int_var_one_ex and we say .name, and then we’re going to assign that to the Python variable random_int_var_one_ex_tensor_name. And we see that the name, like we saw above, is random_int_var_one:0. So tf.get_default_graph().get_tensor_by_name and then we’re going to pass in the Python name we just defined, so random_int_var_one_ex_tensor_name. When we do that, we see that it’s the exact same values: 6, 8, 2, 9; 6, 8, 2, 9. So we can see that we were able to get the tensor by its name rather than by the Python variable. That is how you can get a TensorFlow tensor by name using the tf.get_default_graph operation and then the TensorFlow get_tensor_by_name operation.